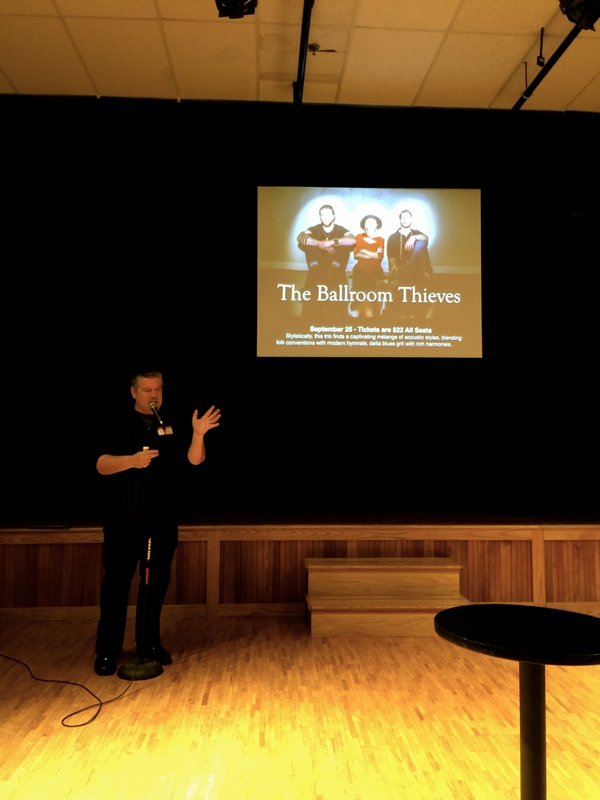 I love my sweet little town, and I’m over the moon about the caliber of shows coming this season to Johnson Hall, our beautiful local theater. Celebrating its 150th year, Johnson Hall Director Mike Miclon has outdone himself with the talent he’s booked to come play 40 shows in teeny Gardiner. 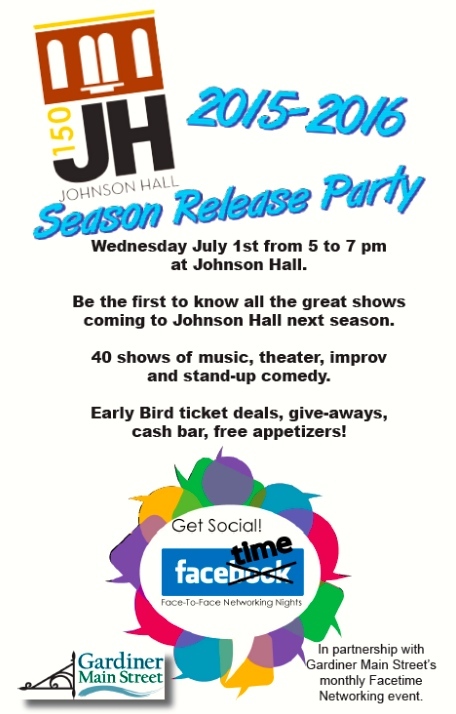 Johnson Hall hosted a “season reveal” party early in July, and Mike gave me a shout out because (per my suggestion) one of my favorite live bands is coming on Friday, September 25. Boston’s The Ballroom Thieves* is the real deal, and the fact that they’re coming to Gardiner is a big deal, folks. The Thieves just impressed at The Newport Folk Festival, and getting to see them in an intimate venue like Johnson Hall will soon be a thing of the past. Don’t miss it! You can buy tickets for any (and all!) 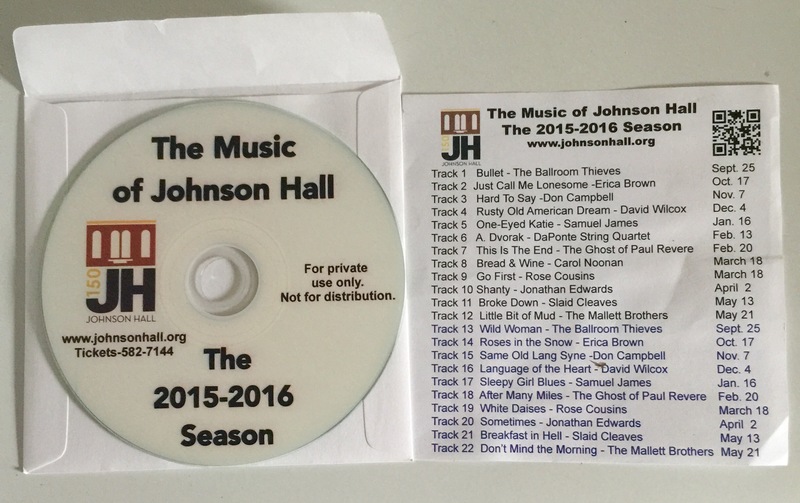 of the upcoming shows at Johnson Hall here. Mike also sent all of us home with a sampler CD of all of the musical groups coming this season, which was a brilliant idea and a generous gift. After a few listens, I had a strong sense of each musical group and confidently built my concert calendar—being sure to save the dates for acts like Don Campbell (November 7), David Wilcox (December 4), and Rose Cousins (March 18). Johnson Hall is a major part of Gardiner’s downtown revival, and I hope you’ll come visit us for dinner and a show soon. Gardiner is a mere 45 minutes from Portland, and absolutely worth the drive. Great job Mike—I’m thrilled about this season! *In case you need some convincing, check out one of my most effusive posts about The Ballroom Thieves.